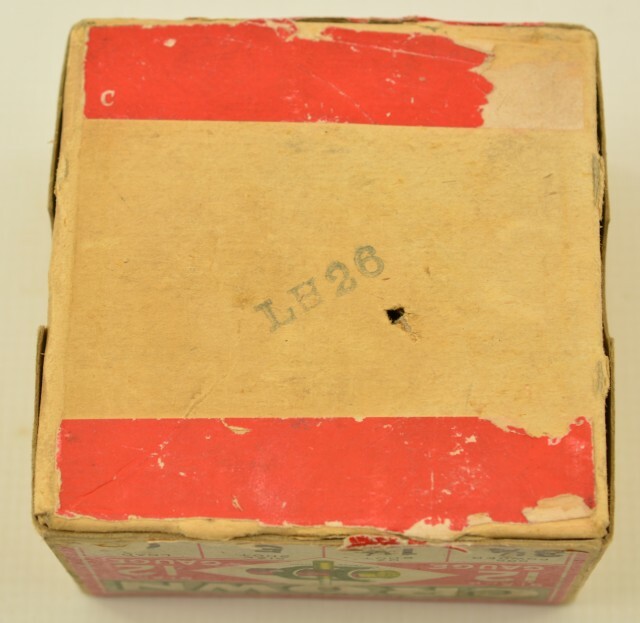 Description: This box was made between 1916 and 1928. 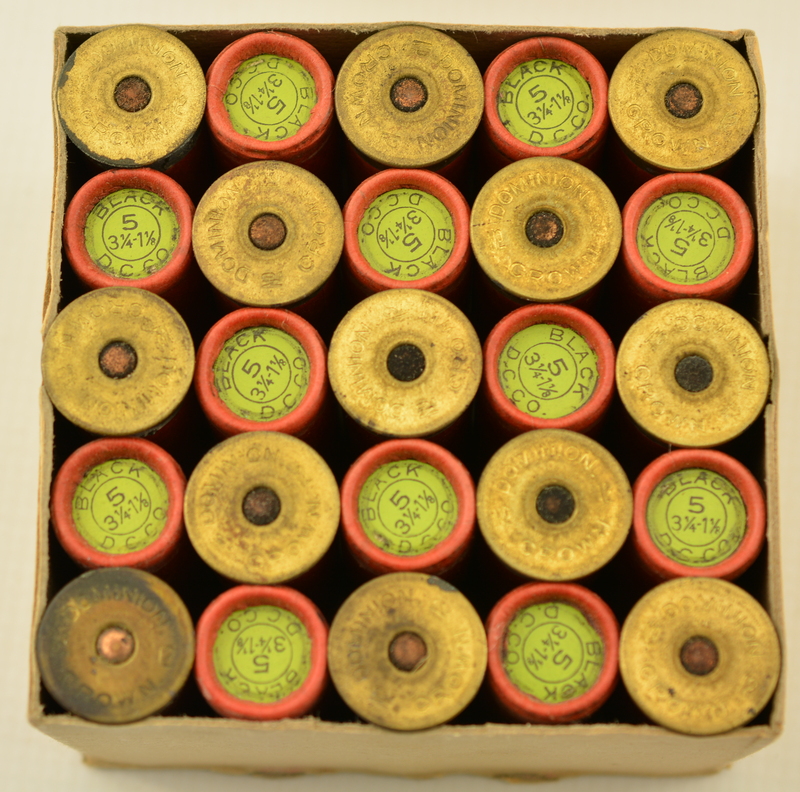 It remains full of correct red paper shells with green top wad reading "Black D.C. Co. 5 23 1/4-1/18". These have low brass heads with "Dominion No 12 Crown" headstamps. 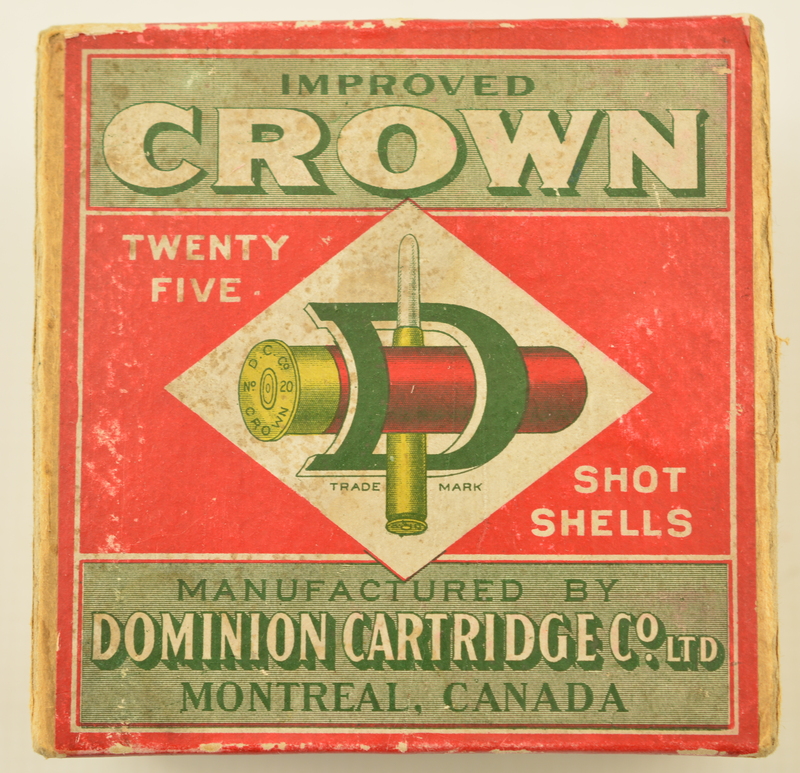 Box features the "Bent D" logo on top and both sides with rimless rifle round showing no headstamp, shell shows "D.C.Co. 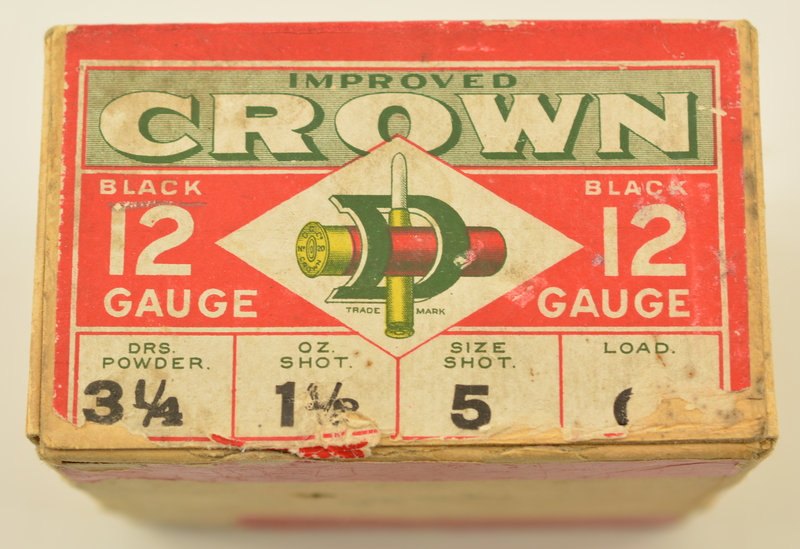 No 20 Crown" headstamp. Box shows shelf wear and light soiling with a few small chips in label. Bottom has a couple rims peeking out. 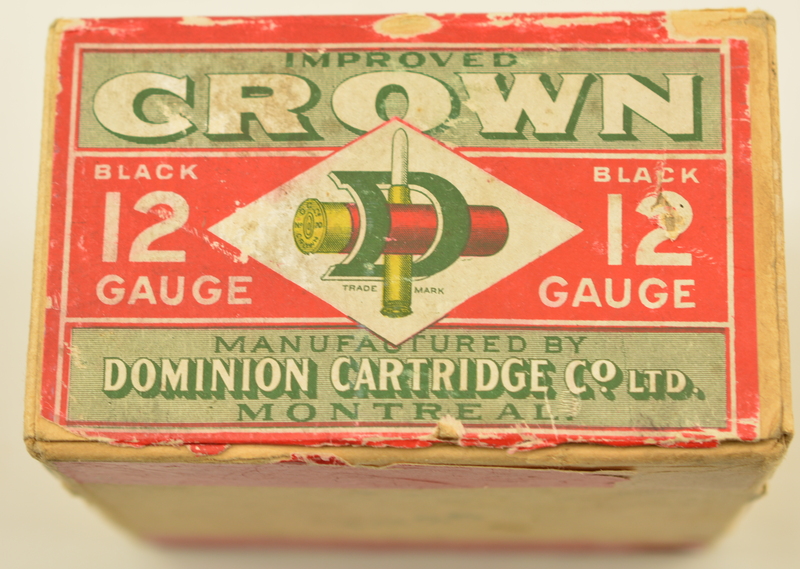 A scarce box of Canadian black powder shotshells, not often found full.